It is often said that sport is a microcosm of life and life, as we know, is not always fair. Never has that tenet been given greater voice than in the case of Anthony Morabito this week. After years of being cruelled by injury he was told by Fremantle that his services were no longer required. While the announcement was by no means a shock it was one that was tinged with sadness. After many years of supporting Morabito through one injury after another the club finally deigned that keeping him on the list was no longer a wise business decision. And alas, elite sport is a business and as such sentiment can go only so far. While Morabito’s story is not unique it is yet another example of a sportsman having his dreams dashed by a body that continually failed them. Originally from Harvey in Western Australia’s south-west, his pedigree was soon evident with state selection at under-16 level in 2007. The following two seasons he played for his state at the under-18 National Championships, earning a coveted All-Australian guernsey in 2009. That same season he debuted at senior level in the WAFL with the Peel Football Club. 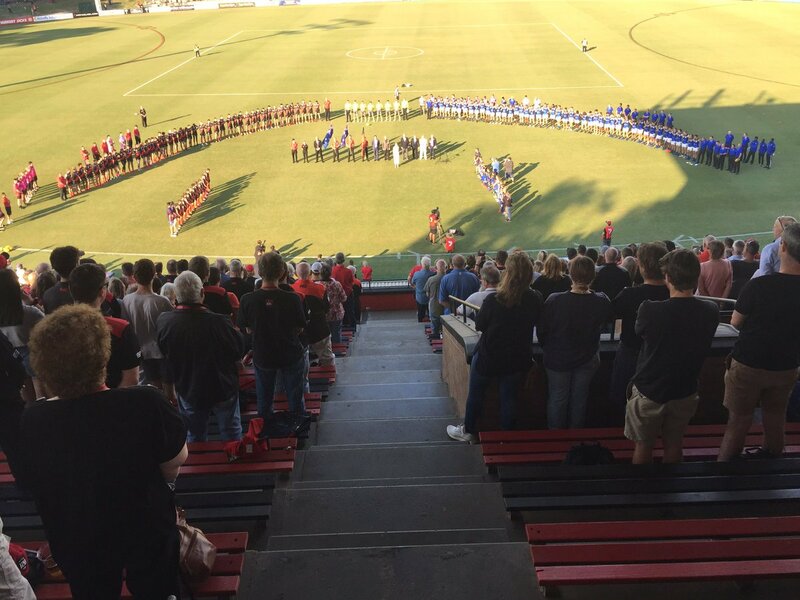 He played the first eight games of the year before turning his attention to preparing for the under-18 championships, a competition that is the primary focus of AFL scouts around the country. At season’s end he was awarded the WAFL Rising Star Award, despite a thigh injury sidelining him for a good part of the back half of the season. He attended the AFL draft camp post-season but his thigh complaint saw him sit out the physical testing. It was not an impost as his footballing and physical abilities had already been noted by all the AFL scouts. A few weeks later he was chosen by Fremantle at number four in the 2009 National Draft. The three players who preceded him were Tom Scully (to Melbourne and now GWS); Jack Trengove (Melbourne) and 2016 All-Australian Dustin Martin (Richmond). A bloke by the name of Nathan Fyfe also went to the Dockers, with pick number 20. 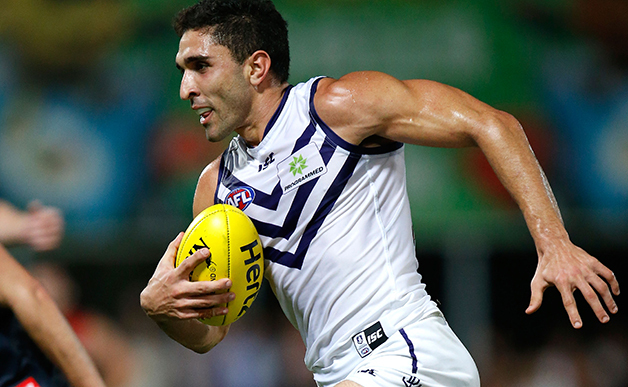 Morabito hit the ground running with Fremantle. Unlike many draftees he debuted in round one the following year. He missed only one game in his maiden season when he was rested, along with seven other players, for the round 23 clash with Hawthorn at Launceston ahead of playing in Fremantle’s two finals that season. In the elimination final win over Hawthorn he produced one of the goals of the season – receiving the ball on the wing, bursting through traffic, taking three bounces and goaling on the run from 40m. It was a passage of play that encapsulated Morabito the footballer – pace, strength, confidence and finish. Alas, it was to remain the high water mark of his career. The semi-final loss to Geelong that ended Fremantle’s 2010 season was his 23rd career game.He would play only three more times – in rounds 16, 17 and 18 of 2014 – in the following six seasons. His sporting world started to go pear-shaped just before Christmas 2010 when he ruptured his ACL at training. Fifteen months later he took to the field again with Peel in the WAFL. Soft tissue injuries and concussion limited his appearances before he injured the same knee again mid-season, requiring a second reconstruction. In late 2012 he was back in full training ahead of a hopeful return at the start of the 2013 season. It was not to be as his knee gave way again in January during an innocuous training drill, precipitating a third reconstruction. Another season was consigned to the scrap heap. Undeterred, Morabito continued to prepare himself physically and psychologically for another tilt at the big time. A whopping 1369 days after his last game in September 2010 he turned out in Darwin in round 16 of 2014 against Melbourne. After just two more games injury sidelined him again. He would not play in the AFL again. After injury cruelled his 2015 season he was delisted by the Dockers and re-drafted ahead of this season as a rookie. Injury again accompanied him for much of this year as he played with Peel. The final ignominy came last weekend when he turned out for an elimination final with Peel. In the first quarter he tore his quadricep and is currently in Melbourne undergoing surgery – an all too familiar experience for Morabito. It all proved too much for Fremantle and he was informed earlier this week he would not be offered another contract. At 24, and after seven years in the AFL system, the first round draft pick left centre stage having played a mere 26 games. It was a sad end to a career that offered so much. Morabito leaves the limelight wondering just what may have been. Many of us dream of being a sports star when we are children. Most of us do not reach those dizzy heights through a lack of ability, commitment and nous. A small minority do attain their goal and are showered with adulation, and in many cases, copious sums of money. And then there are those who fall short not for want of skill, desire or persistence. They fail because their body is simply not able to cope with the rigours. Anthony Morabito is the latest of them. Sadly, for many still to come, he will not be the last to suffer such a heartbreaking fate. "Without forgiveness there is no future"